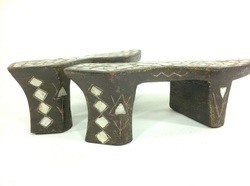 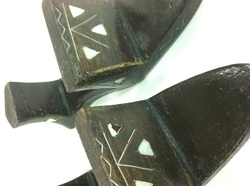 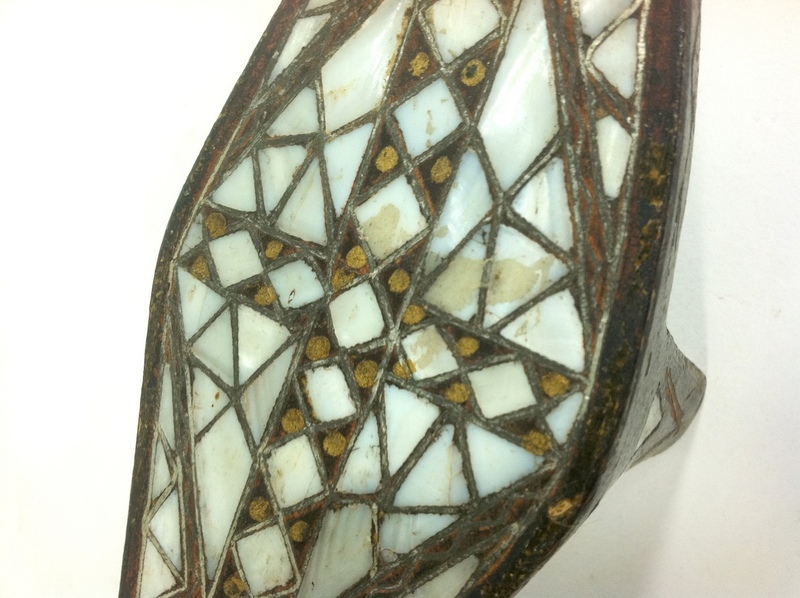 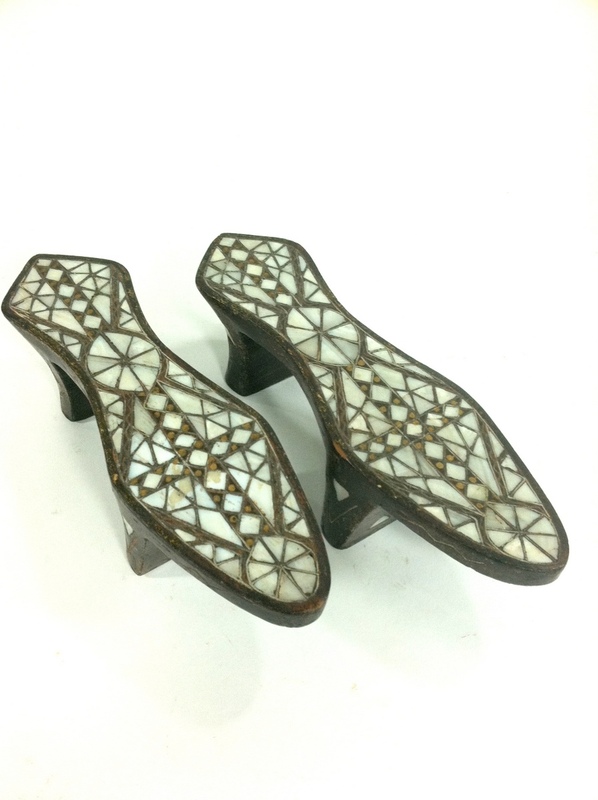 A pair of charming wooden shoes inlayed with mother-of-pearl. 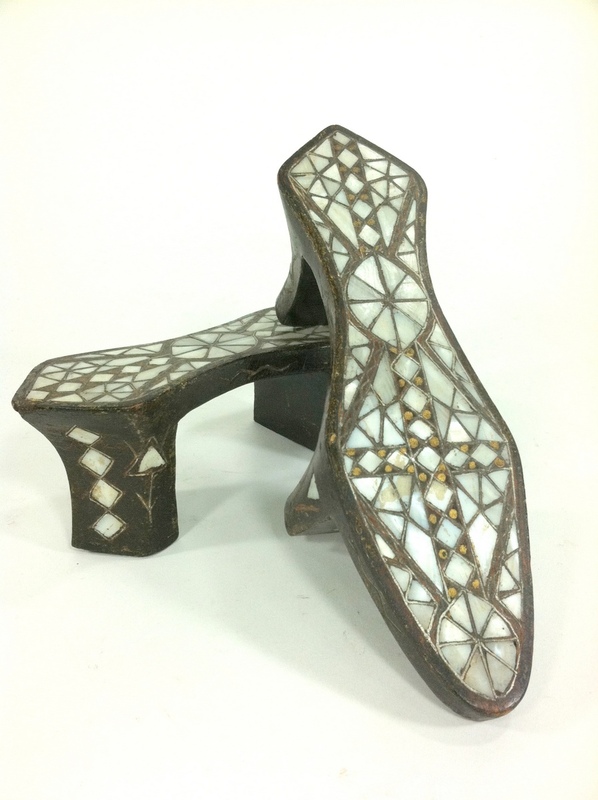 They were tied on to the feet with a strip of fabric and probably used as bathing shoes. An eclectic object that is sure to invite interesting conversation.